One of the first major Star Wars events of 2017 will be Star Wars Celebration in Orlando Florida, taking place from April 13th-17th. The event will celebrate the entire Star Wars saga and serve as a kick off for the promotion of Star Wars Episode VIII. While we don't have any information about what to expect from Episode VIII at Celebration, we do know we'll get the chance to look back on past Star Wars films with artist Doug Chiang. 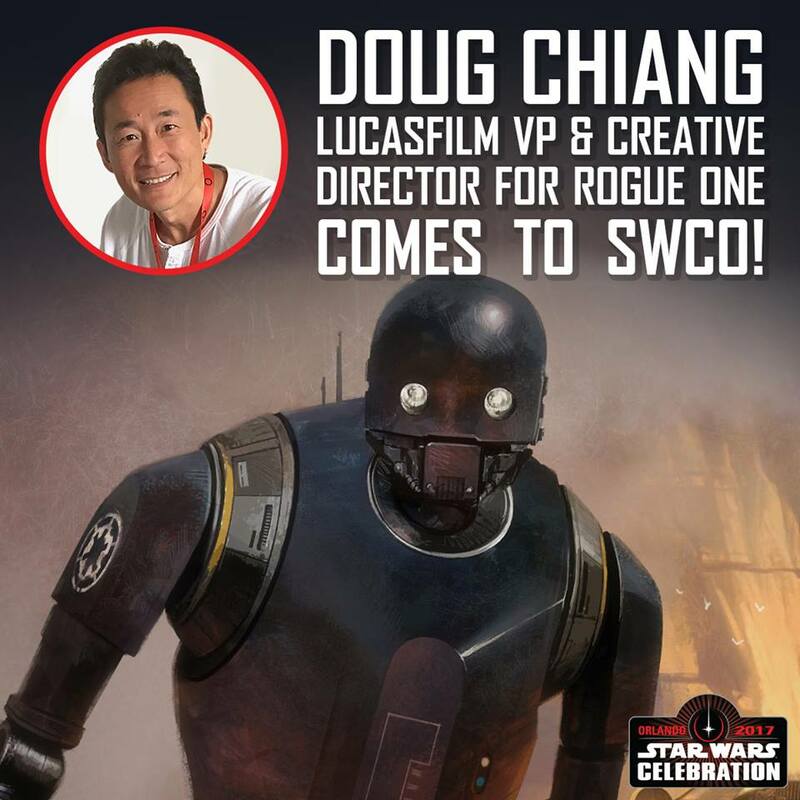 Chiang, who served as concept artist on the prequels, The Force Awakens, and Rogue One. 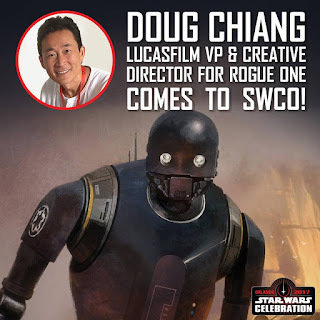 He currently serves as Lucasfilm Vice President and Executive Creative Executive. He will appear all four days at Celebration. Also announced for Celebration was the return of the Tattoo Pavilion, where fans can get Star Wars tattoos done by professional tattoo artists. Fans are encouraged to sign up in advance in order to secure their time to get their Star Wars ink done. The Tattoo Pavilion is organized by Shane Turgeon and Marc Draven. Last week, the hosts and badge art for Celebration were announced, find our more about those here.